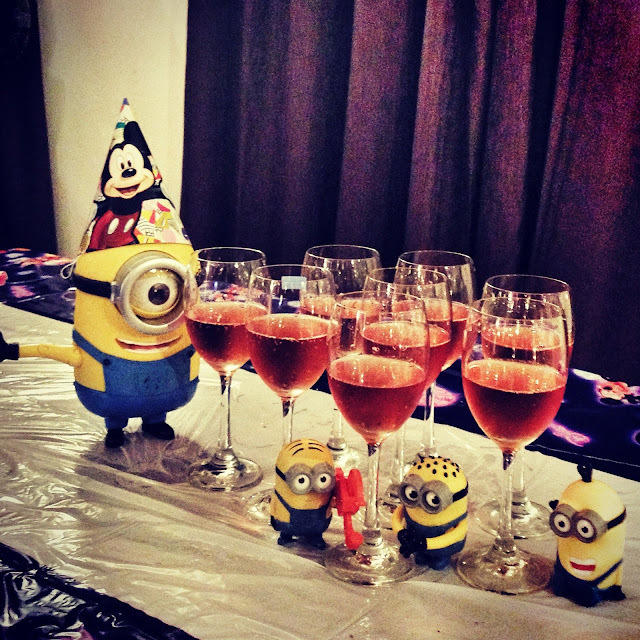 A toast with the minions. Chilled Moscato Rosa is the best. Happy one year old to girlfriend and son.